Have you ever wondered why your iPhone’s battery is already at 20 percent even though you just charged it this morning?To say we use our smartphones for everything wouldn't be an exaggeration. From listening to music during commutes to finding directions and working on the go, your smartphone's battery can never last long enough. But there are ways to get more out of your iPhone's battery life. Certain tasks consume more energy than others even though you may not realize it, and there are some sneaky settings that secretly drain your iPhone's battery behind the scenes. If you follow these practices, you're likely to get much more juice out of your iPhone on a daily basis. 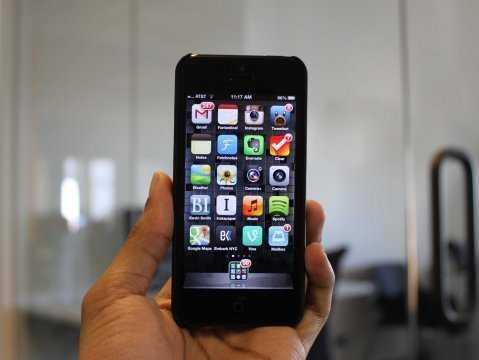 Apple introduced the automatic app update with iOS 7 in September. 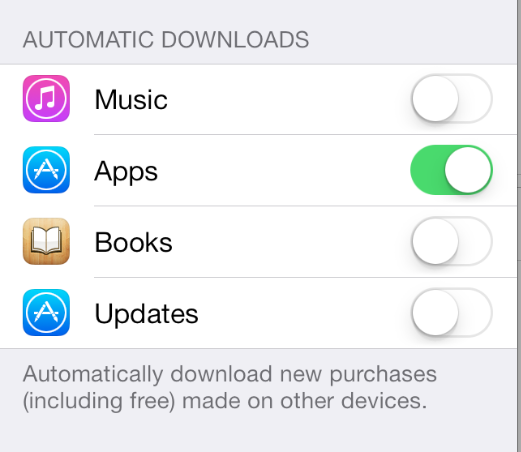 This means you can set your iPhone to automatically update apps and music instead of having to do it manually. 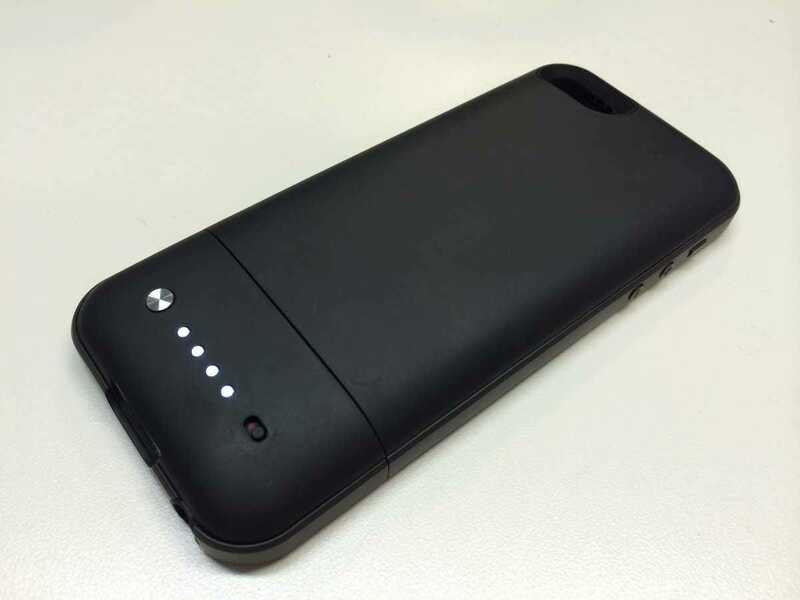 While this can be useful, it consumes more battery power. Try turning this feature off to extend your iPhone's battery by navigating to Settings > iTunes & App Store > Automatic Downloads. Press the green switches next to each category to turn automatic downloads off. This feature automatically refreshes the content of an app whenever you phone is connected to Wi-Fi or cellular service. Essentially, this means your phone is fetching data for all of the apps running in the background even if you're not using them. 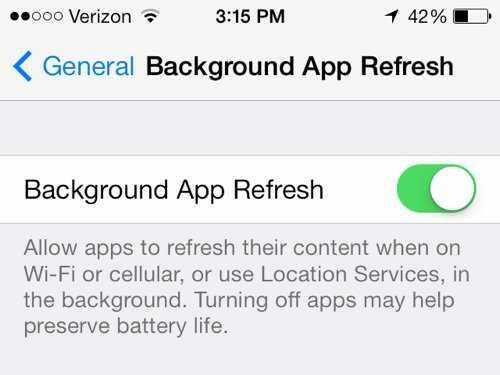 To shut this off, head over to Settings > General > Background App Refresh. From here, you can choose to disable this function for certain apps or all of them by pressing the green switches. If these settings are left turned on when not in use, they will unnecessarily drain your power. You can turn off all of these settings directly through the Control Center in iOS 7, which appears when you flick up from the bottom of the screen. 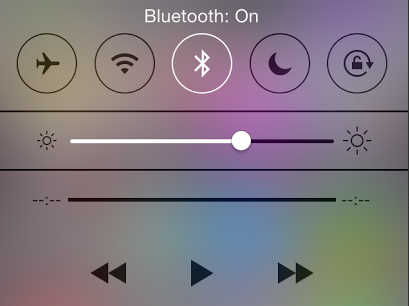 After launching the Control Center, you can tap the Bluetooth and Wi-Fi icons to turn them on or off. To turn off AirDrop, tap where it says AirDrop under the music player. Turning off background app refreshes will take care of this problem in most cases, but there are ways to tell if idle apps are consuming unnecessary power. 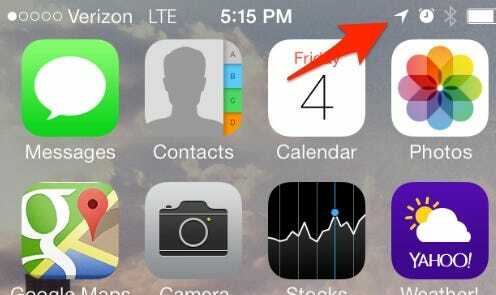 For example, keep an eye out for the little GPS icon in the upper-right corner near your battery indicator. If you see the tiny compass arrow GPS symbol there when you’re not actively using an app, that means an app running in the background is using GPS data. This, in turn, drains your battery. You can take a look at which apps are currently running by double-tapping the home button. 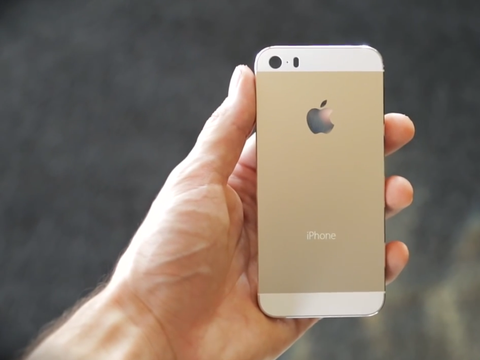 That old myth about overcharging causing damage to your smartphone's battery isn't true. Overcharging (i.e. 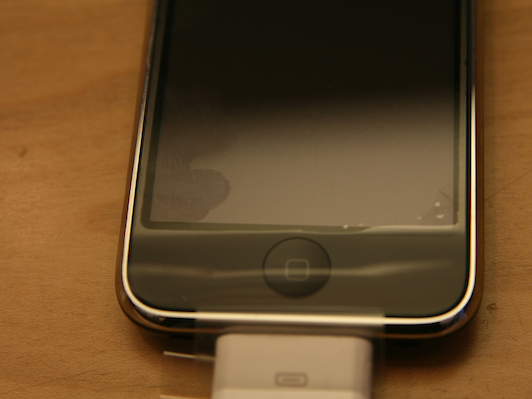 keeping your phone plugged in when it's already at 100 percent) doesn't actually damage lithium ion batteries. However, smartphone batteries do have a life cycle. Each battery can only withstand a certain number of charges before performance becomes severely affected. This is why older phones tend to die really quickly — simply because their batteries have gone through many more charge cycles. In other words, the less often you charge your phone, the longer its battery life lasts since you're preserving its charge cycles. Apple's native apps are optimized to consume less power within the operating system, according to Wayne Lam, senior analyst of consumer electronics for IHS iSuppli. That's not to say you shouldn't use third-party apps. That would nearly defeat the purpose of buying an iPhone in the first place. But using them less often or cutting down on them when your battery is running low could help your battery last longer. The iPhone doesn't come with a battery saver mode, but there are several third-party apps in the App Store that could do the trick. 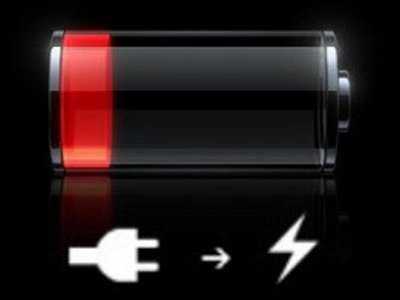 The free Battery Doctor app, for example, helps you modify your settings to cut out tasks that consume the most power. It also provides tips on when you should and shouldn't charge your phone. Battery Life Magic is another high-rated free app that helps you preserve your iPhone's battery. If you've got some money to spend, there are plenty of battery cases and external batteries that can help your iPhone last longer. Battery cases from Mophie, Anker and uNu are among the most highly rated, and they typically fall in the $50 range. Mophie's recently released Space Pack not only adds extends battery life, but adds some extra storage space to your iPhone as well. Naturally, it's a bit pricier than more-basic options, starting at $149.95.